This combination of Sync Set Core with the Kinetic Front/Rear Set creates the perfect base to start your CatEye Sync safety arsenal. 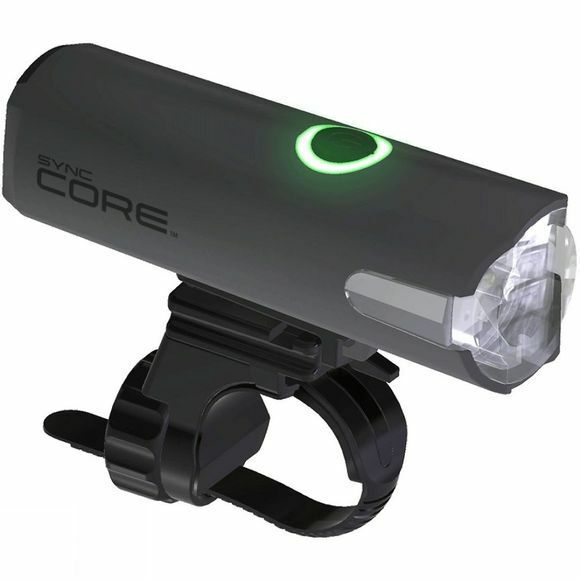 With 500 lumens and excellent side visibility, the Sync Core Front Light from CatEye gives you the power to see and be seen. This powerful product can be used alone as a successful main front light or combined with other Sync enabled lights for unparalleled levels of 360-degree visibility, day or night. Sync Kinetic 40/50 LM Rear Light from CatEye increases your visibility as you slow giving you an extra level of defence. An accelerometer built into the light switches to burst mode as you decelerate, acting as the perfect brake light. Use alone as a reliable and intuitive rear light or in combination with other Sync models for unparalleled levels of 360-degree visibility, day or night. CatEye’s Sync products are made to be synchronised with each other to create an easier, quicker and safer lighting solution for all types of cyclists. With just one touch you can connect multiple Sync lights including the Sync Core, Sync Kinetic and Sync Wearable. The rear lights can set to flash in unison for improved visibility or all activate in Kinetic mode adding extra safety while decelerating. 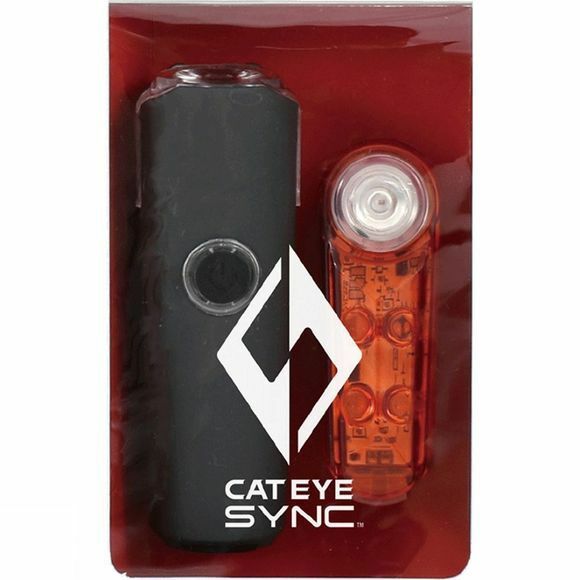 Using the CatEye Sync app on compatible with Smartphones you’re able to set up and monitor up to 7 Sync lights. The app monitors battery levels and connectivity information for all lights and can communicate this through the Sync Core front light switch, no need to unsafely check on your rear light. You can even identify which rear lights need charging through the app’s “Find Me” mode and exclude unwanted modes from your front Sync Core light. Having all your lights communicating during your ride means smarter visibility from all angles, year-round.